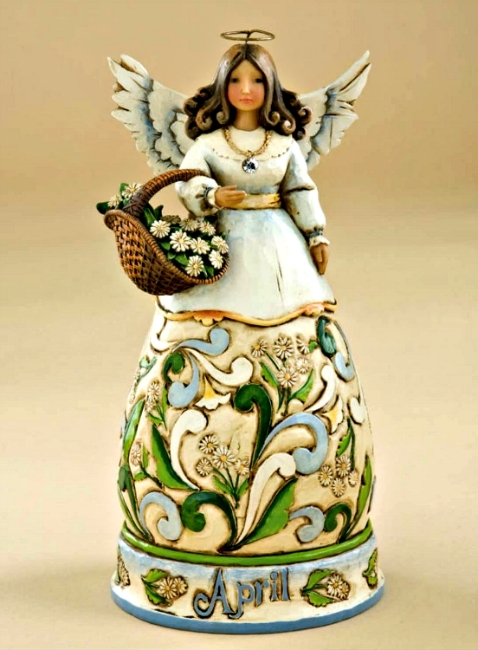 April Birthday Angel by Jim Shore Heartwood Creek from Enesco. 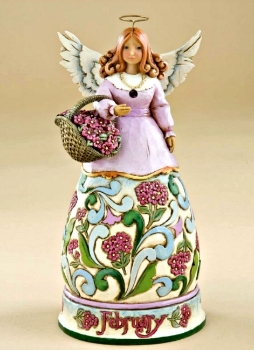 Beautiful Jim Shore Monthly Angel features the month's flower around the angel's skirt and a Swarovski crystal birthstone in her necklace. Made of Stone Resin. 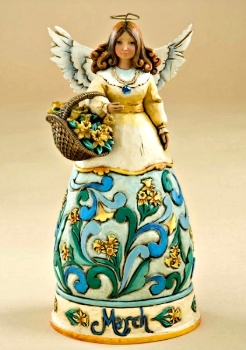 Measures 6.1"H x 2.95"W. Perfect Birthday Gift!